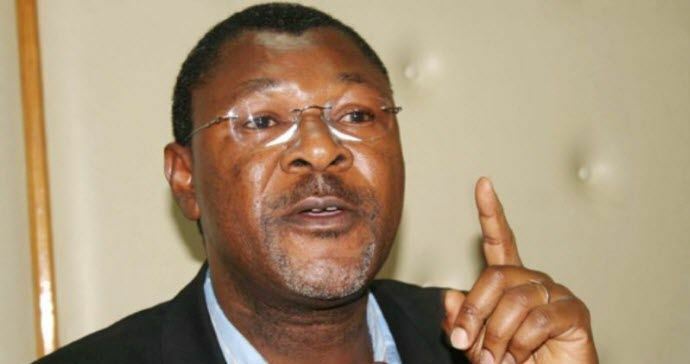 Bungoma Senator Moses Wetangula has played down the unity deal between President Uhuru Kenyatta and opposition chief Raila Odinga, saying it won’t solve Kenya’s underlying problems. The FORD-Kenya party leader, however, acknowledged that the monumental handshake between the leaders helped simmer down the political tension witnessed in the country during the post-election period. The ousted Senate Minority leader said it was important for the country’s serious problems to be put into consideration for the country to move forward. “The issue of two people shaking hands is fine, it reduces the temperature… but it does not solve the problems that have brought us to where we were unless we address the serious issues,” said Wetangula. Speaking at St. Mary’s High School in Busia, Wetangula also talked about his political ambitions in 2022 saying he was open to alliances. “In 2022, Wetangula wants to form a government with others or others will form a government with Wetangula,” he said.